It has been confirmed how modern day greats Erik Morales, Ronald “Winky” Wright and Vitali Klitschko have been voted into the 2018 Hall of Fame. This year proved to be an especially tough year for those people privileged enough to vote, as just three greats from the modern category (last bout no earlier than the year 1989) would be put through to receive immortality at Canastota. The five names to choose from were: Vitali Klitschko, Winky Wright, Erik Morales, Ricky Hatton and Ivan Calderon. Obviously, these five former champions are special talents one and all, but there had to be two left disappointed. And as has been reported, it is “Iron Boy” Calderon and “Hitman” Hatton who have unfortunately been left out. 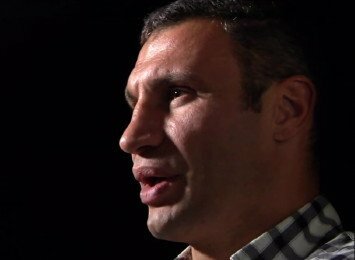 But there can be no arguments over how the Hall of Fame honour is to be (in June of next year) bestowed on Morales, Klitschko and Wright. Morales really did do it all during his long career. A world ruler at super-bantamweight, featherweight, super-featherweight and light-welterweight, “El Terrible” met and defeated such great opposition as: Marco Antonio Barrera, Manny Pacquiao, Daniel Zaragoza, Wayne McCullough and plenty of others. Morales is deserving of being ranked in the top-5 greatest Mexican fighters ever. Winky Wright was a southpaw boxing master nobody wanted to mess with, for a long time at least. Eventually the big fights did come for the tough, tricky and ultra-dangerous lefty, and how Wright capitalised. Twice beating the great Sugar Shane Mosley, as well as Felix Trinidad and Ike Quartey, Winky also held middleweight king Jermain Taylor to a draw. Heavyweight king Vitali Klitschko ruled the world with his brother, Wladimir, and he gets extra points for the manner in which he came back, in 2008, to regain his heavyweight title after a near four-year layoff that was enforced by injury. The elder Klitschko brother holds wins over Corrie Sanders, Samuel Peter, Kirk Johnson, Chris Arreola, Shannon Briggs, Odlanier Solis and, in his final fight, Manuel Charr. In losing an epic rumble with Lennox Lewis (on quite horrific cuts) and being stopped on a career-threatening shoulder injury to Chris Byrd, Vitali was defeated but never, ever truly beaten. There should be quite a gathering of boxing royalty in Canastota next June. Next boxing news: Seán Turner vs. Arnold Gjergjaj this Sat.